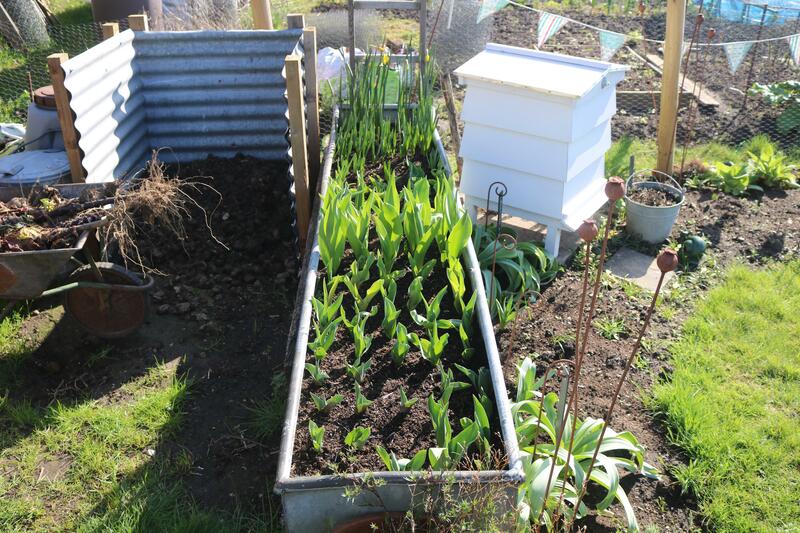 It’s been 4 weeks since I’ve been on my allotment… 4 whole weeks! 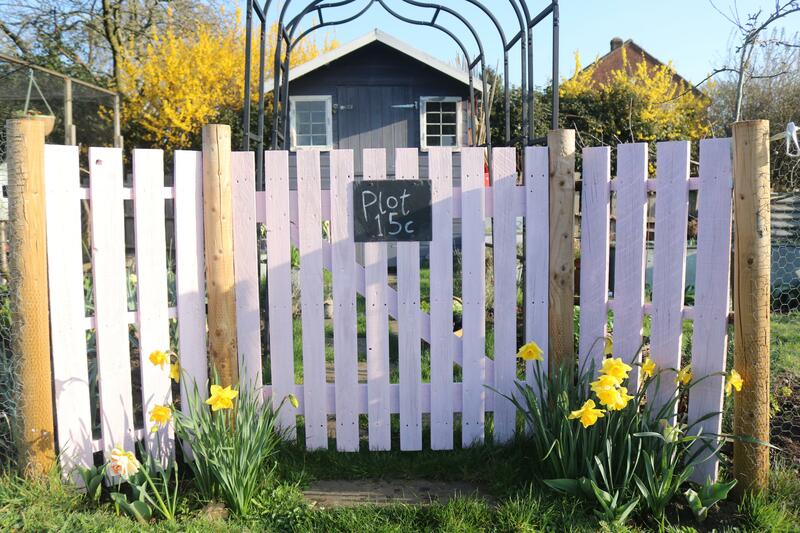 To say I was excited about spending the day there this Sunday was an understatement, in fact I was so excited I woke up early and arrived at the plot before 7am to make the most of it. 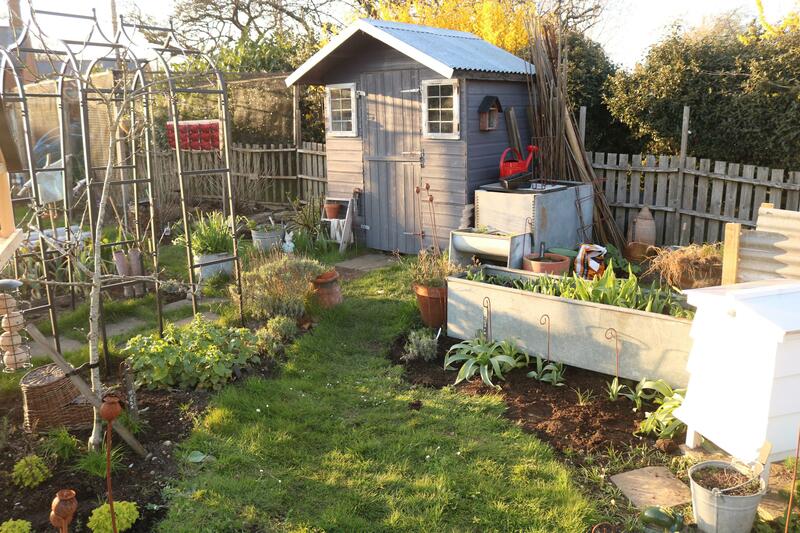 Mornings on the allotment are my all time favourite because it’s just so peaceful, just me and the bird chorus with the sun rising up… heaven! 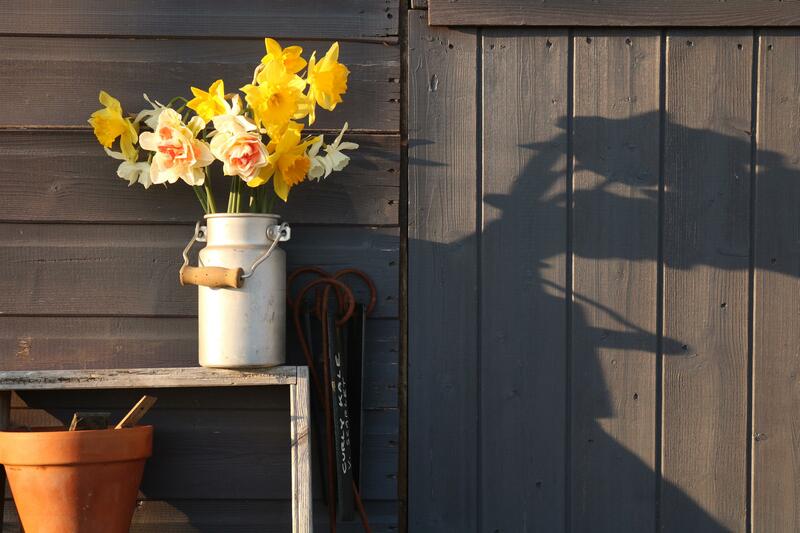 Talking of the sun what a beautiful day it was with the forecast for the week ahead set to be just as good. It officially feels like Spring is here and my first plot visit of the season didn’t disappoint. I was so happy to see my Daffodils still in bloom, I was so worried that I would miss the show when in fact I was just in time. 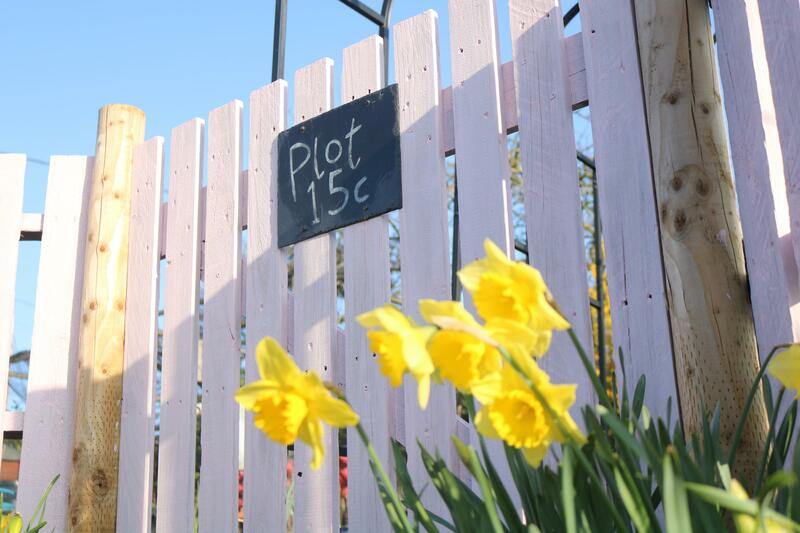 The bulbs I planted by the gate entrance were smiling at me as I walked up to plot 15c and there were a few of my white, multi stem ‘Thalia’ Narcissus blooming in the container by the shed with more on the way. 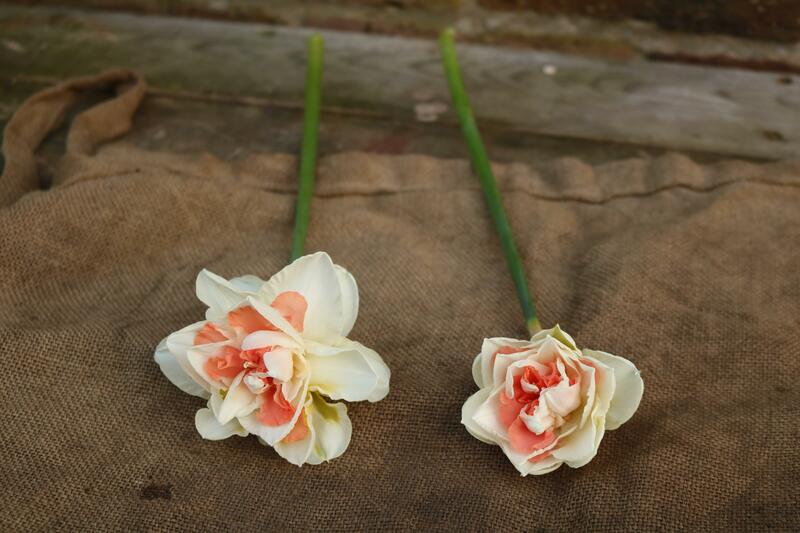 I was pleased to see two of my favourite ‘My Story’ Narcissus flowering too, the colours remind me of creme eggs and I just love them! 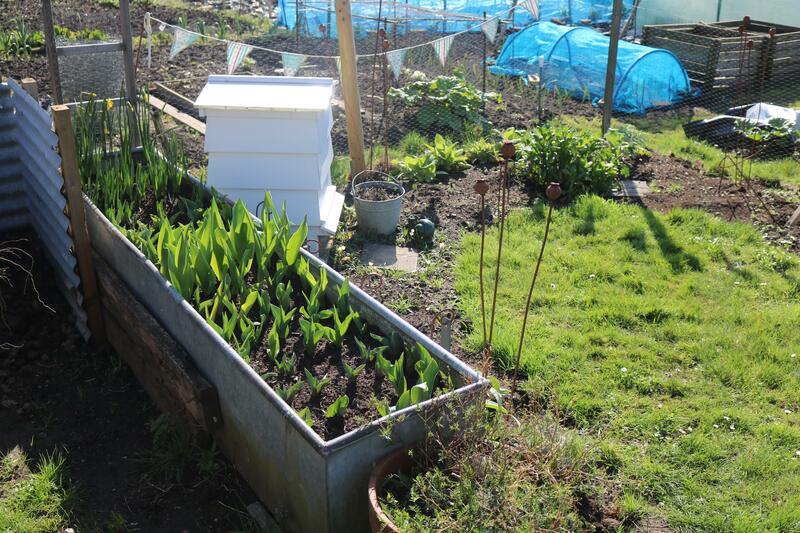 The trough is also looking so lush and green with tulip buds galore! 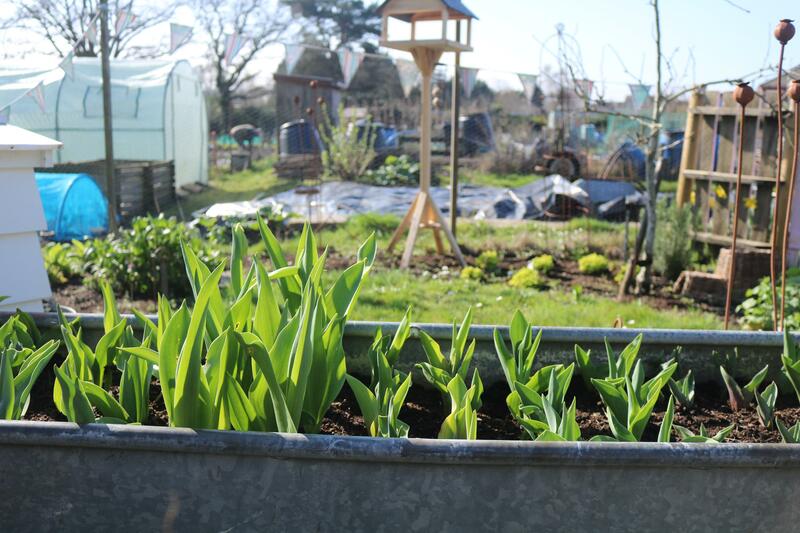 I’m usually picking tulips around my Birthday at the end of April and I just can’t wait to see these bloom after last years disaster… The Narcissus at the far end are rather late to the party with only a few in bloom but hopefully they’ll catch up soon. 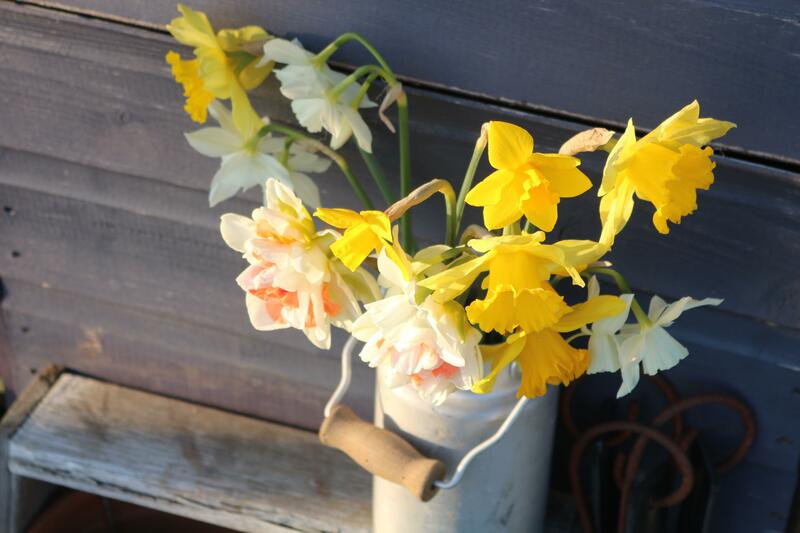 I decided to gather up some of the Daffodils to take home in a vase, I won’t be up the allotment until next weekend and by then they would have died over. This way I can enjoy them at home and smile everytime I walk past the vase sitting on the windowsill. 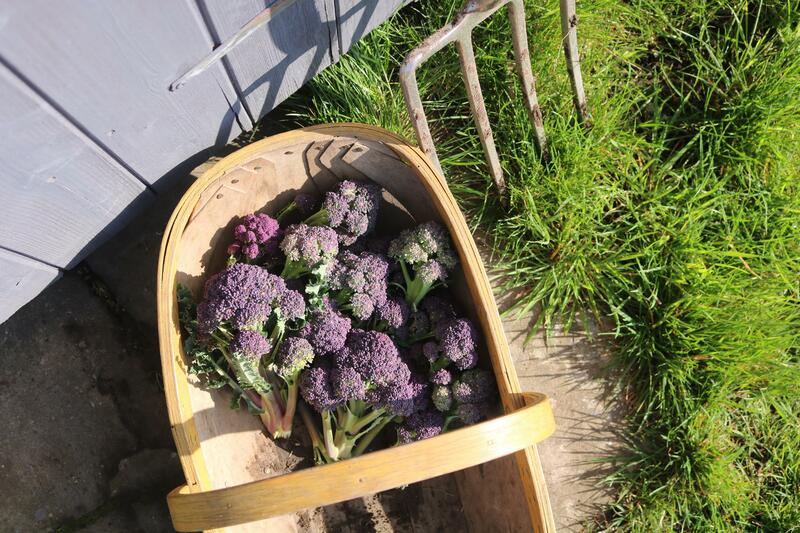 Talking of happy harvests I was also beyond pleased to see that the purple sprouting broccoli was ready for picking too and it looks like I had caught some of it just in time! 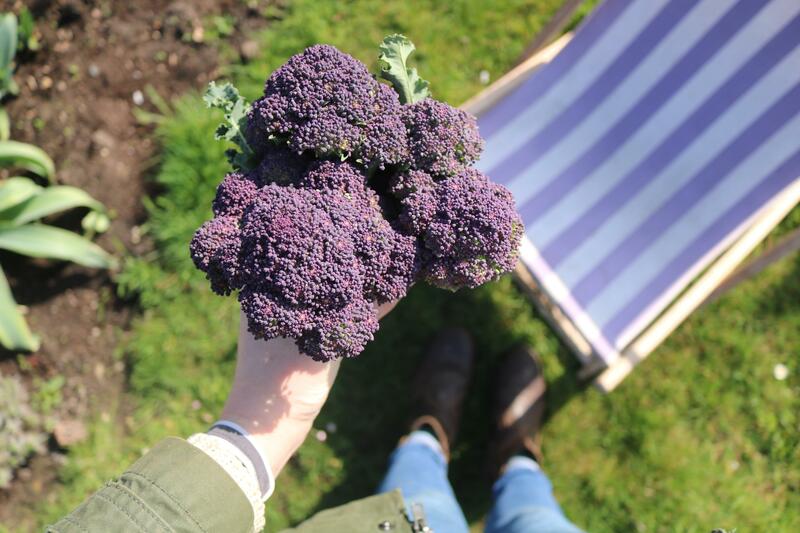 purple sprouting is one of my favourite homegrown crops, it’s a long term investment due to it’s long growing period but the wait is worth it. The taste is beyond delicious and it helps to fill that hunger gap along with a few other crops. 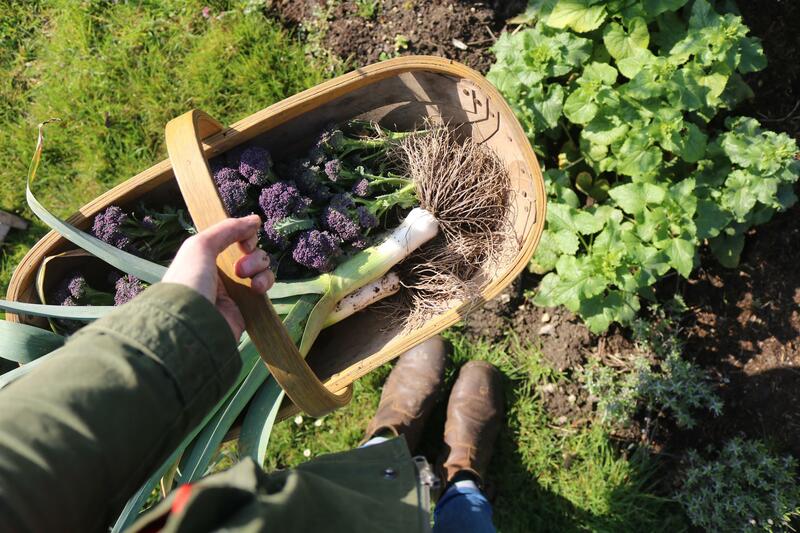 To add to my trug of freshly picked purple sprouting I pulled up 3 leeks from my overwintered stock. These rows of leeks replaced the potatoes I harvested back in August and I’ve left them in the ground ever since to fatten up a little… which seems to have worked! 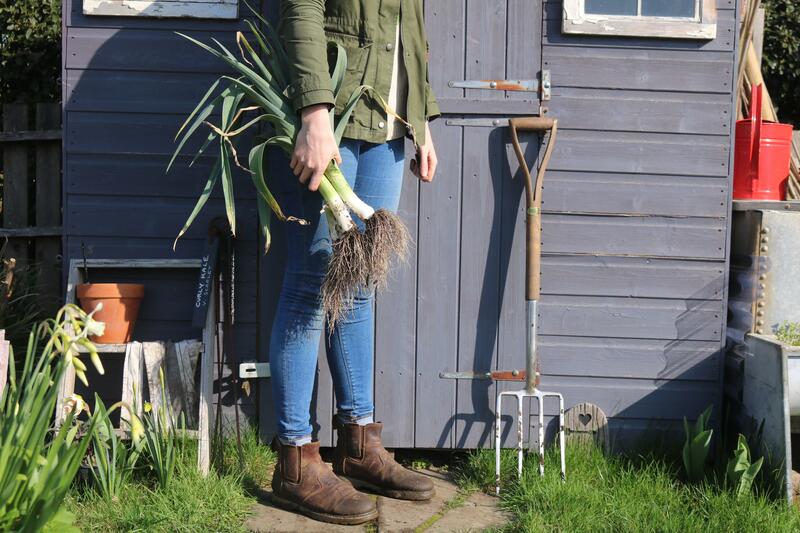 They aren’t the biggest leeks you’ve ever seen but it just goes to show what you can grow later on in the season once other crops have been harvested. 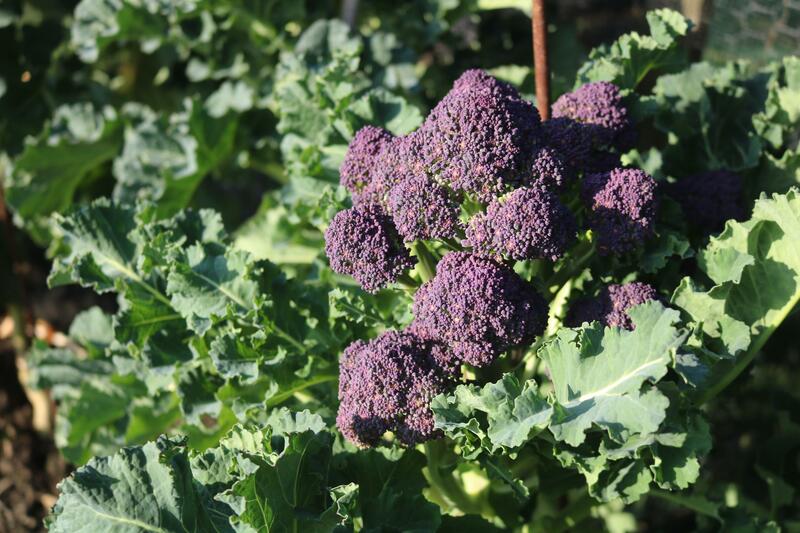 It’s what I like to call the second growing season and sometimes it works a treat! I’ll admit now that I didn’t get much work done on Sunday, I was too busy working on another project and getting excited every time I spotted something new in bloom! 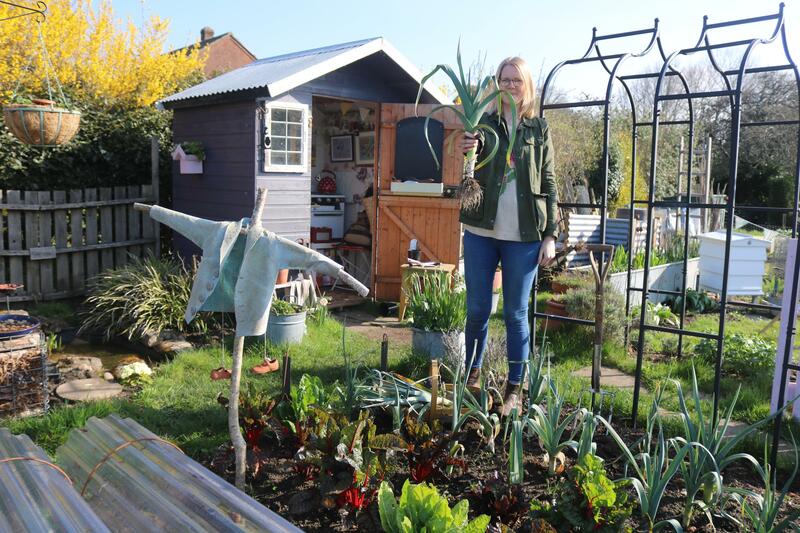 I was just so happy to be back on the allotment and be in the glorious sunshine that the to-do list got put to one side for the day. 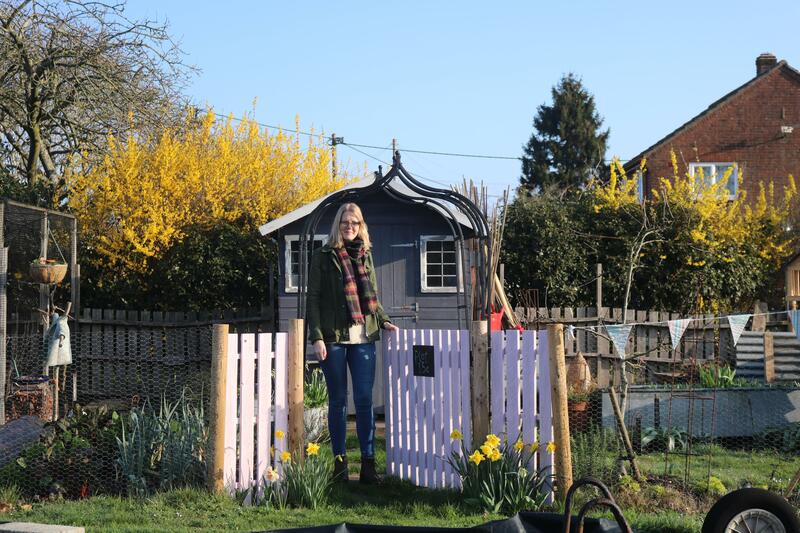 There are a few jobs that I really do want to tackle next weekend and that is the fruit cage… I need to dig up the raspberry canes, clear that area of bind weed and then re plant the canes. Then all that’s left to do is replace the wood chip floor and the plot is officially tidy! 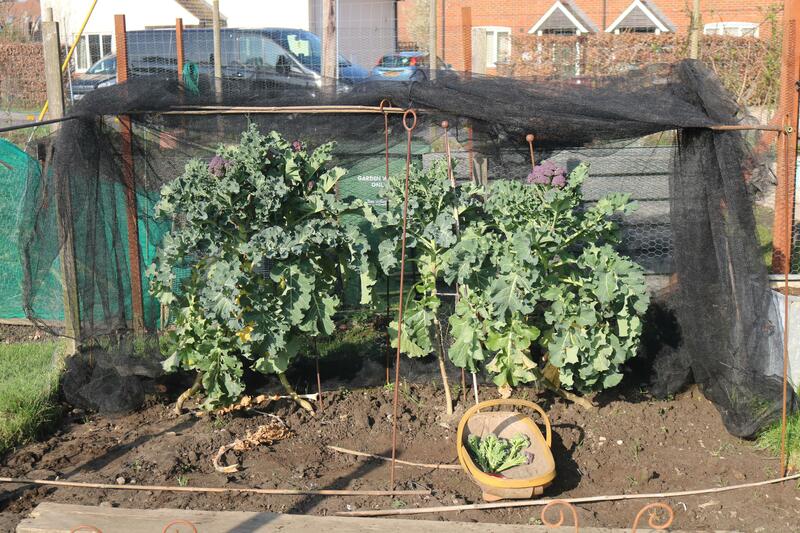 For a while anyway… There’s potatoes to plant out, seeds to sow and seedlings to move to their new home. But right now I am so happy with how the allotment is looking and it sure felt good to still be harvesting homegrown goodies in March! You say you are taking up and replanting your raspberry canes. I have a blackcurrant bush which I pruned down and is currently about 6 or 7 inches tall. Could I take this p and move it as I could do with re-positioning it. Lovely post.